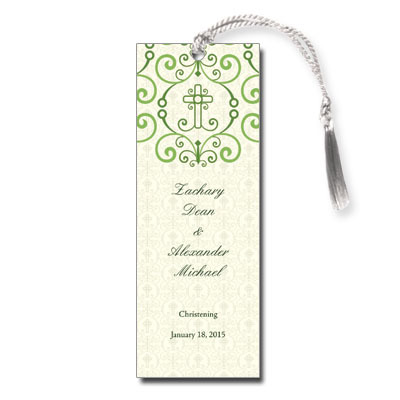 Shades of green and light beige look sophisticated yet youthful on this Baptism bookmark. An ornate pattern with crosses decorates the top, with room for two names and a date below. Measures 2x5.5 and comes with white satin tassels; light assembly required.